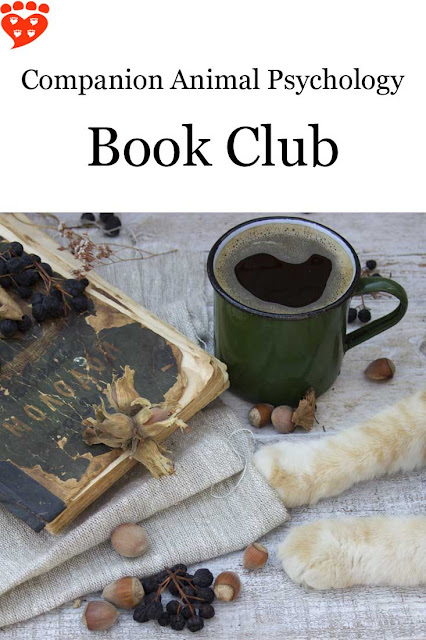 If you love reading and animals, the Companion Animal Psychology Book Club is for you. See what we're reading this month, and take a look at the books read so far. 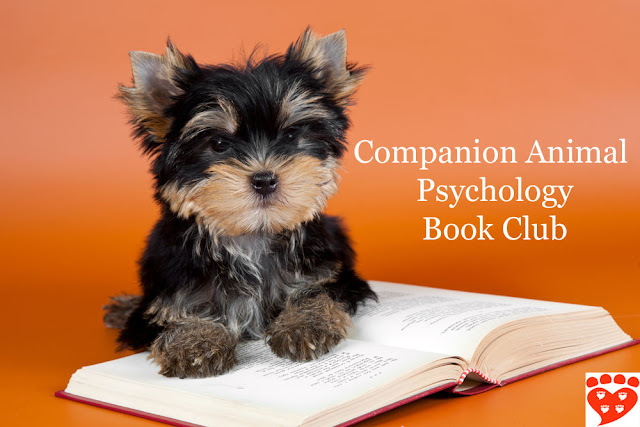 The Companion Animal Psychology Book Club discusses books about dogs, cats, and our relationship with companion animals. If you're looking for reading inspiration, take a look at the books on our list. The book for April 2019 is What the Dog Knows: Scent, Science, and the Amazing Ways Dogs Perceive the World by Cat Warren. The upcoming book for May 2019 is Animal Madness by Laurel Braitman. You can visit my Amazon page https://www.amazon.com/shop/animalbookclub or scroll down to see the list. This page contains affiliate links. As an Amazon Associate I earn from qualifying purchases. The club discusses one book a month except for January and July, so we read ten books a year. 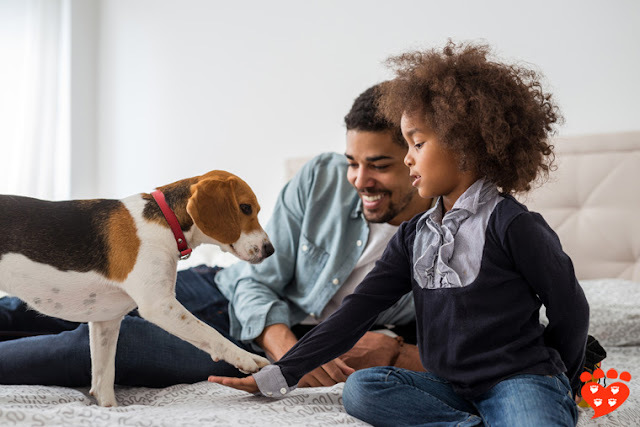 Books may cover a wide variety of perspectives, but there is a preference for humane and kind treatment of animals (and people), and for scientific or critical approaches to the human-animal bond. Everyone is welcome to join in and read the books, whether or not you are a regular reader of Companion Animal Psychology. New members must commit to reading and discussing at least 7 of the 10 books each year. Click here to apply to join the Animal Book Club. Separately, the Animal Books Facebook group is for posting news about new titles about animals, sharing book reviews and interviews, and for chatting about your favourite books and what you are reading now. Ask to join on Facebook. All welcome! 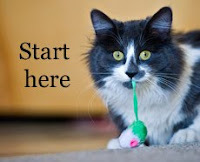 The book for March 2019 was Cat Sense: How the New Feline Science Can Make You a Better Friend to Your Pet by John Bradshaw. 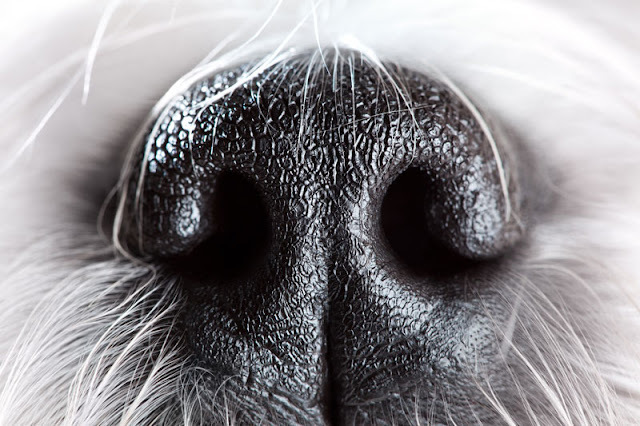 The book for February 2019 was Inside of a Dog: What Dogs See, Smell, and Know by Alexandra Horowitz. The book for December was The Genius of Dogs: How Dogs Are Smarter Than You Think by Brian Hare and Vanessa Woods. The book for October was The Dog: A Natural History by Ádám Miklósi. The book for September was Pit Bull: The Battle over an American Icon by Bronwen Dickey. The book for August was Canine Confidential: Why Dogs Do What They Do by Marc Bekoff. You can whet your appetite by reading my interview with Dr. Marc Bekoff. The book for June 2018 was Some We Love, Some We Hate, Some We Eat: Why It's So Hard to Think Straight About Animals by Hal Herzog. "I wanted to get at this issue of how you wake up in the morning and get through the day trying to be a good person in a world which is incredibly morally complicated." Read my interview with Hal Herzog about the book. The book for May 2018 was From Fearful to Fear Free: A Positive Program to Free Your Dog from Anxiety, Fears, and Phobias by Marty Becker, Lisa Radosta, Wailani Sung, Mikkel Becker, and edited by Kim Campbell Thornton. 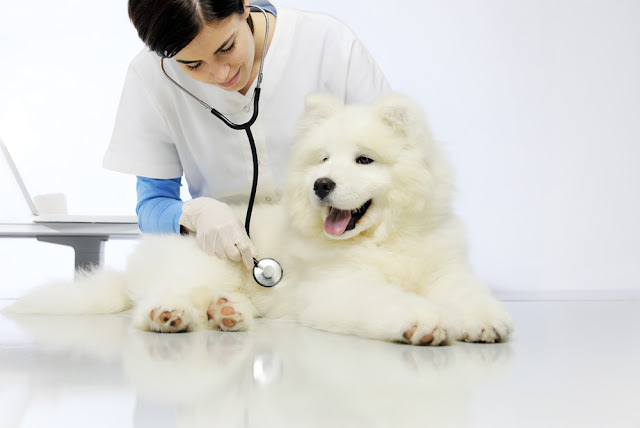 "It’s the fact that pets have a broad range of emotions that we need to recognize." Read my interview with Dr. Marty Becker about the book and the development of Fear Free. The book for April 2018 was How Dogs Love Us: A Neuroscientist and His Adopted Dog Decode the Canine Brain by Gregory Berns. The book for March 2018 is Citizen Canine: Our Evolving Relationship with Cats and Dogs by David Grimm. The book for February 2018 was The Animals Among Us: How Pets Make Us Human by John Bradshaw. In the UK, the book is called The Animals Among Us: The New Science of Anthrozoology . The book for December 2017 was The Emotional Lives of Animals: A Leading Scientist Explores Animal Joy, Sorrow, and Empathy ― and Why They Matter by Marc Bekoff. The book for November 2017 was What a Fish Knows: The Inner Lives of Our Underwater Cousins by Jonathan Balcombe. The book for October 2017 was Plenty in Life Is Free: Reflections on Dogs, Training and Finding Grace by Kathy Sdao. The book for September 2017 was Pets on the Couch: Neurotic Dogs, Compulsive Cats, Anxious Birds, and the New Science of Animal Psychiatry by Nicholas Dodman. The book for August 2017 was How to Tame a Fox (and Build a Dog): Visionary Scientists and a Siberian Tale of Jump-Started Evolution by Lee Dugatkin and Lyudmila Trut. "...the idea here was if we could speed up the process and actually watch the domestication of the species in real time, we could get much much more information and shed light on how one of man’s best friends came to be." Read my interview with Dr. Lee Dugatkin. The book club takes July off. The book for June 2017 was The Inner Life of Cats: The Science and Secrets of Our Mysterious Feline Companions by Thomas McNamee. The book for May 2017 was Dog Sense: How the New Science of Dog Behavior Can Make You A Better Friend to Your Pet by John Bradshaw. For UK and Australian readers, the book is called In Defence of Dogs. The book for April 2017 was The Other End of the Leash: Why We Do What We Do Around Dogs by Patricia McConnell. The book for March 2017 was Being a Dog: Following the Dog Into a World of Smell by Alexandra Horowitz. The book for February 2017 was Are We Smart Enough to Know How Smart Animals Are? by Frans de Waal. There was no book in January 2017, as the book club takes January & July off. The book for December 2016 was The Secret History of Kindness: Learning from How Dogs Learn by Melissa Holbrook Pierson. Read my review of The Secret History of Kindness and please leave your thoughts on the book in the comments. The book for November 2016 was The Trainable Cat: A Practical Guide to Making Life Happier for You and Your Cat by John Bradshaw and Sarah Ellis. "For me it’s really about training for better welfare, to improve the well-being of the cat." Read my interview with Dr. Sarah Ellis. When you have read the book, please leave your comments on the summary of discussion of The Trainable Cat. Companion Animal Psychology is a participant in the Amazon Services LLC Associates program, an affiliate program designed to provide a means for sites to earn advertising fees by advertising and linking to Amazon.com, Amazon.ca and Amazon.co.uk.